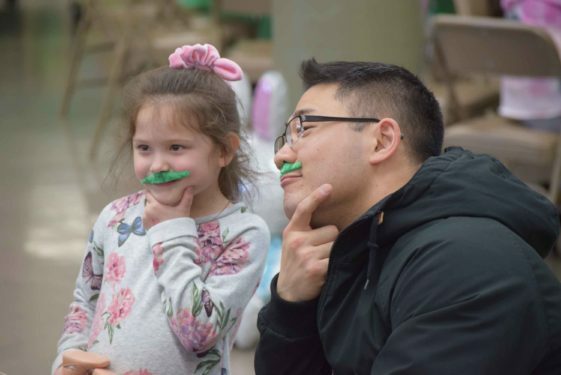 St. Mel’s in Flushing was buzzing with excitement to help make a difference. 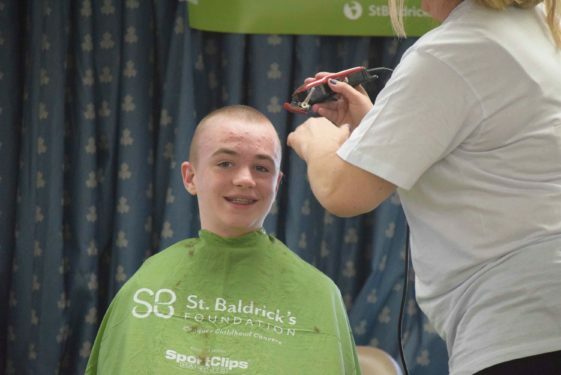 The Queens parish hosted its third annual St. Baldrick’s Conquer Kid’s Cancer organized by its youth ministry on April 7. The youngsters raised $6,500 as students, parents, and a few other brave souls came out to support. 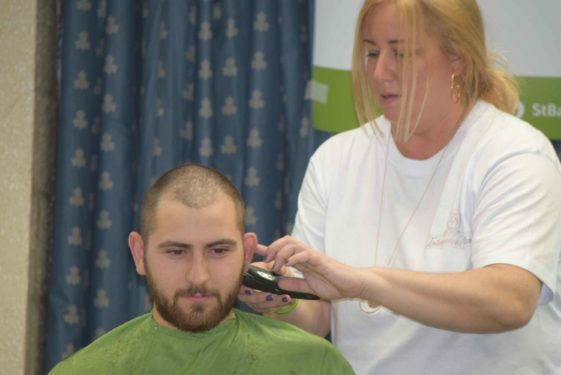 Men shaved their heads, while women cut off several inches of hair which will be used to make wigs for children who suffer from several types of cancer. 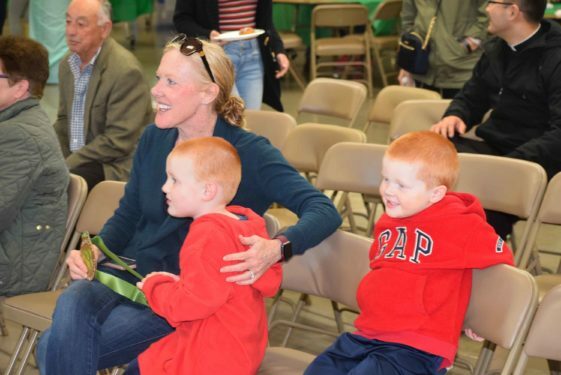 Brian McCormack, a math teacher at St. Francis Prep, Fresh Meadows, was the first one to step up and had his two young sons in the first row rooting him on. 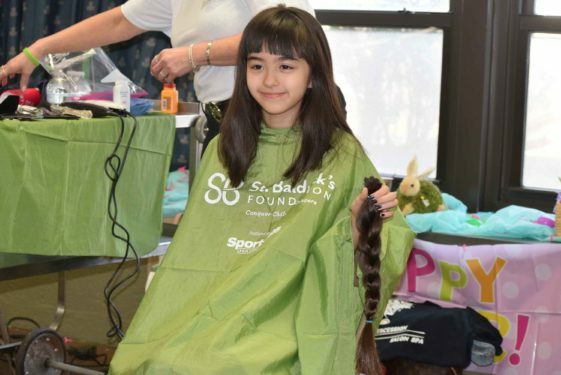 Lauren Pizzo was the first brave mom to step up and donate eight inches of hair. 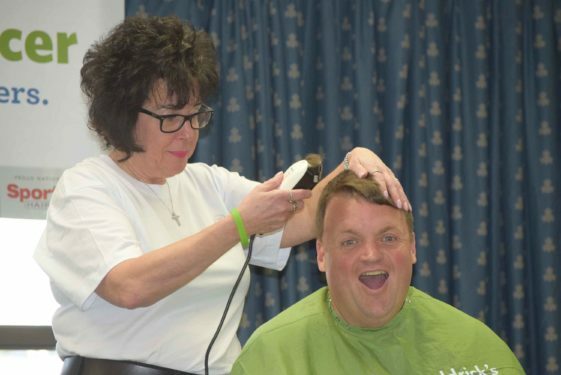 “I have done this the last few years and even plan on growing my hair specifically so that I can come here and cut it off,” explained Pizzo. Jimmy Walters, the parish youth director, was pleased at the turnout. “Before we started this, we went to students and asked them what is something they can do to give back?” said Walters. 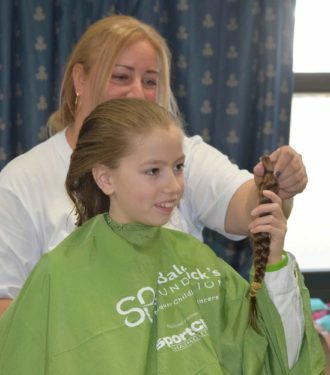 The St. Baldrick’s Foundation, that relies on volunteers and donors, is dedicated to raising money for research and funds to fight pediatric cancer. The organization has raised $253 million in research grants in the past 14 years. 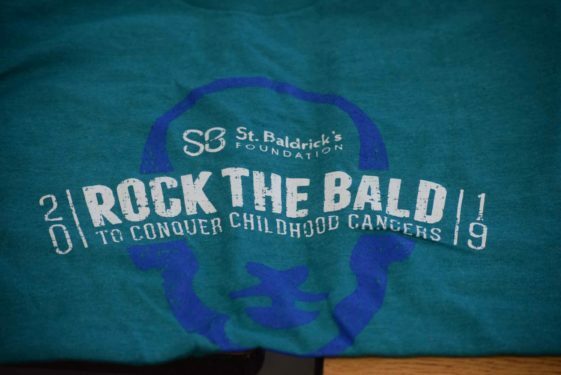 Those looking to see when the next event is or to have their school or parish start their own event as well as current contributors may see how their donations are being put to work by visiting www.StBaldricks.org. Each year, 160,000 children worldwide are diagnosed with cancer and every little effort to help them can make a difference for so many.